From the display on the left-hand side, select the New Drive with Drive Manufacturer Name and Capacity showing. 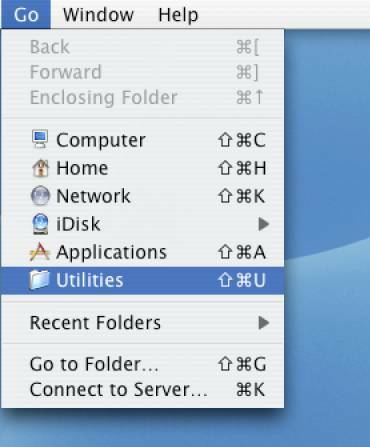 Select Erase from the table on the right-hand side near the top of the screen. 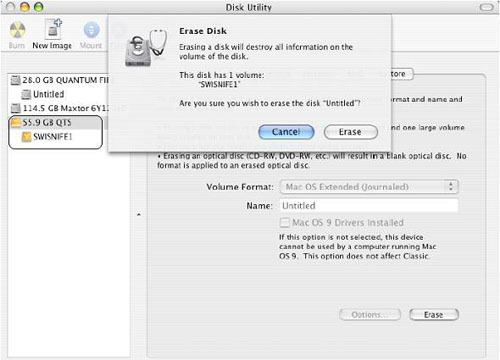 It will ask for confirmation, and then Select Erase. 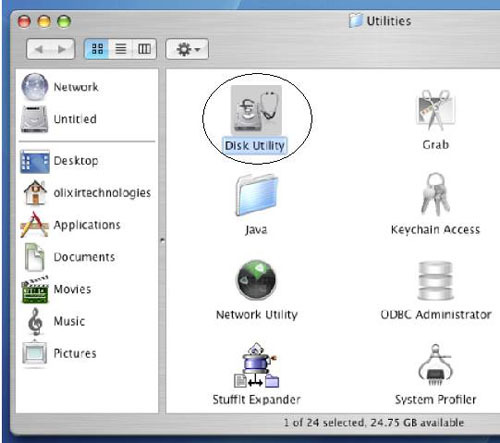 After the Erase is done, select the Partition tab from the table. 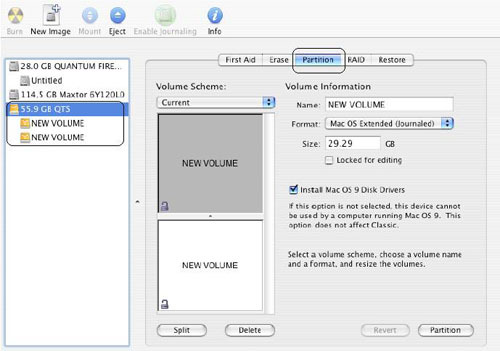 In the format section, you can choose the type of partition.